Whether you’re a die-hard collector of these delightful Russian dolls or if you simply appreciate adorable dolls designed as cute but deadly Ninjas - this set is for you! 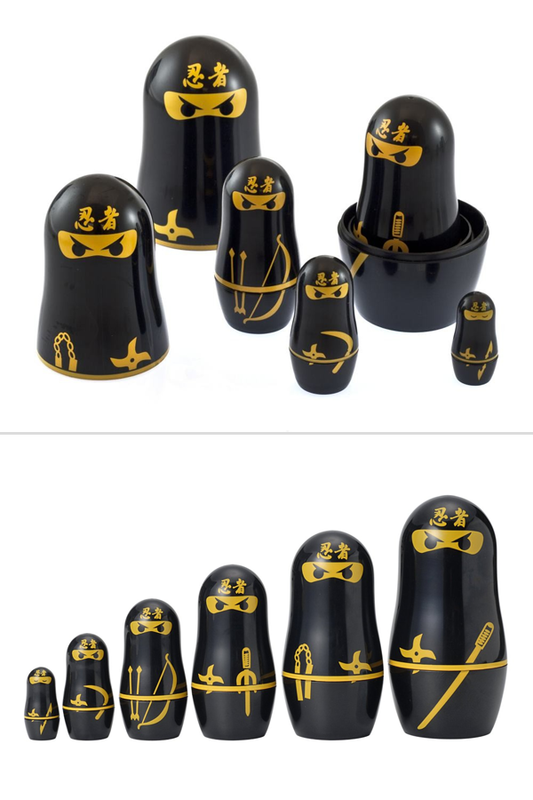 All 6 Ninja Matryoshkas can be nested together or can be separately displayed wherever you want them to secretly watch out for you! Even the tiniest one of the set opens up for room to store your small but precious belongings. 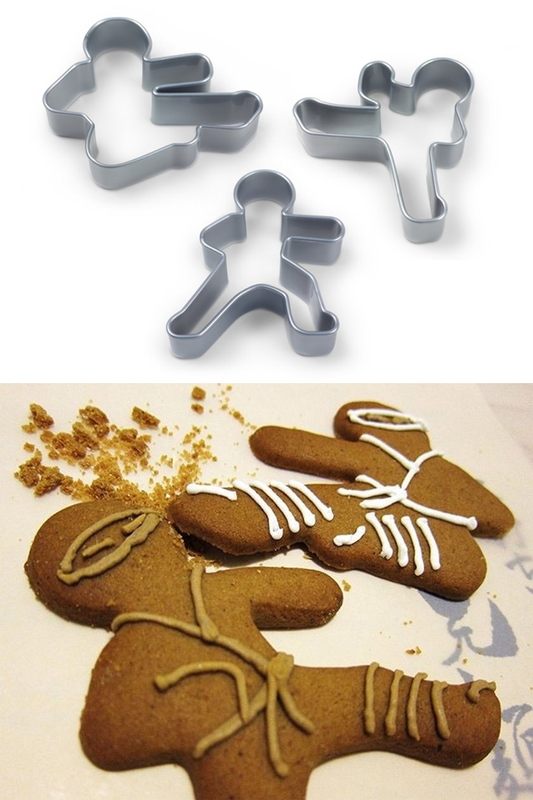 Next time you sit down to watch your favorite Kung-Fu movie, bake a batch of action-packed ninja cookies using the Ninjabread Men cookie cutter set from Fred & Friends! Add your own decorations to personalize your baked ninja in endless ways and share them with your friends and family. Once you finish admiring your creation, grab some milk and crunch away! 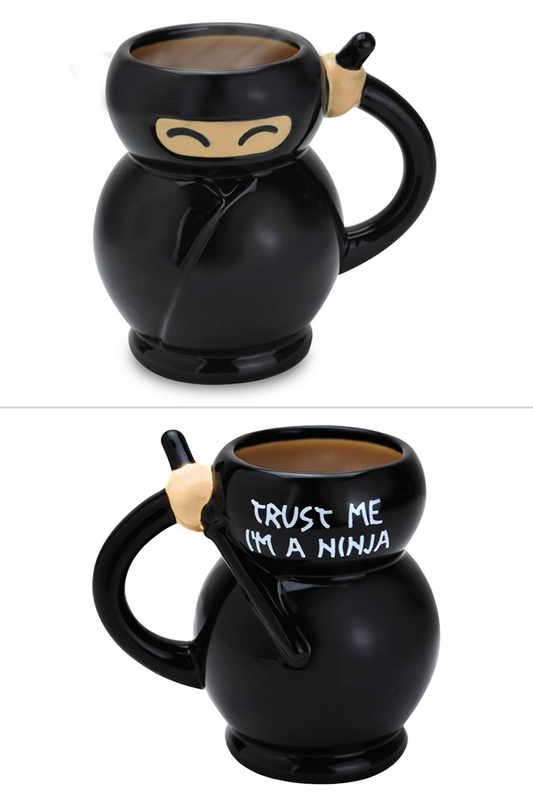 Start your day with a kick and grab this amusing ninja coffee mug! Not only is this ceramic mug a thoughtful gift for any coffee lover, but it will make for a great addition to any person obsessed with ninjas! Not only will you be able to enjoy your daily dose of caffeine, but this ninja mug can be trusted to keep your drink warm and enjoyable! Just like ninjas use swords, nunchucks, and shurikens to defeat the bad guys, you need this Ninja Pen to defeat your homework assignments! 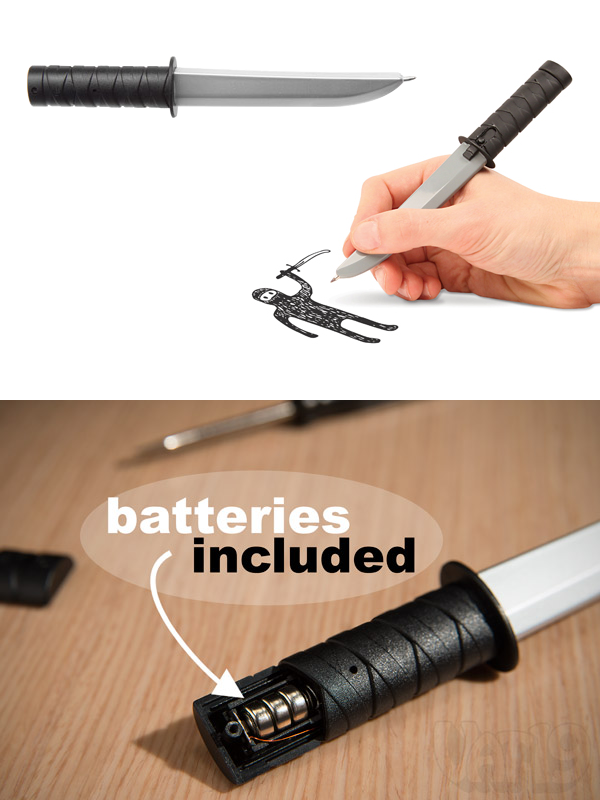 Grab this sword shaped ballpoint pen and start writing. Every time you release the tip of the pen or retract, a “shining” sound effect plays, keeping you motivated and excited to keep working! Missing a little excitement from your dinner table? 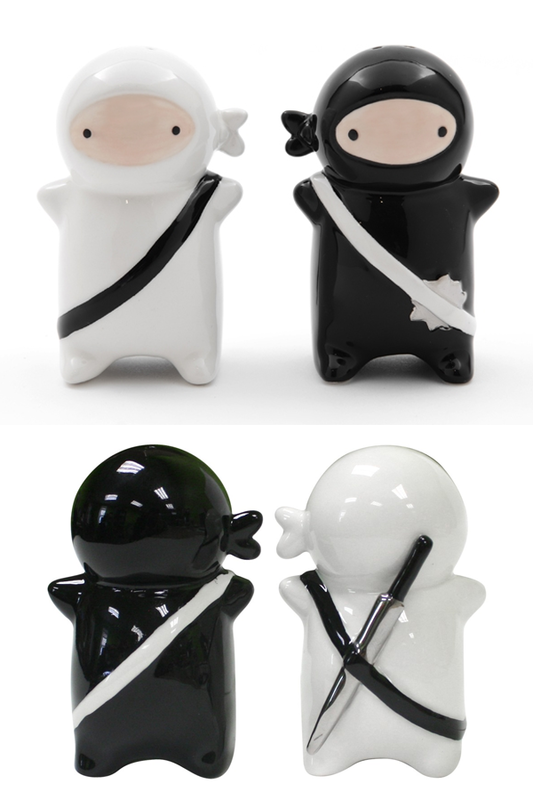 Grab a set of these adorable Ninja Kids Salt and Pepper shakers to change that! Every time your food needs a dash or two of salt and pepper, reach in for one of these Ninjas and watch them save your food! 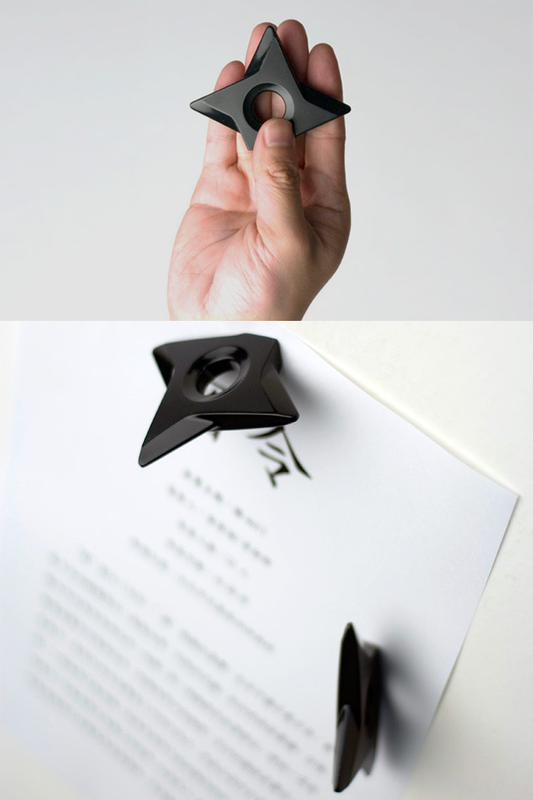 Add some danger and excitement to that boring refrigerator door with these Ninja Shuriken Magnets and feel like a ninja in your own home! Each magnet can secretly hold your notes, coupons, reminders, or simply decorate your kitchen. Whatever it is you decide to hang, you can be sure that walking into what looks like shurikens thrown at your fridge will always give you a chuckle. 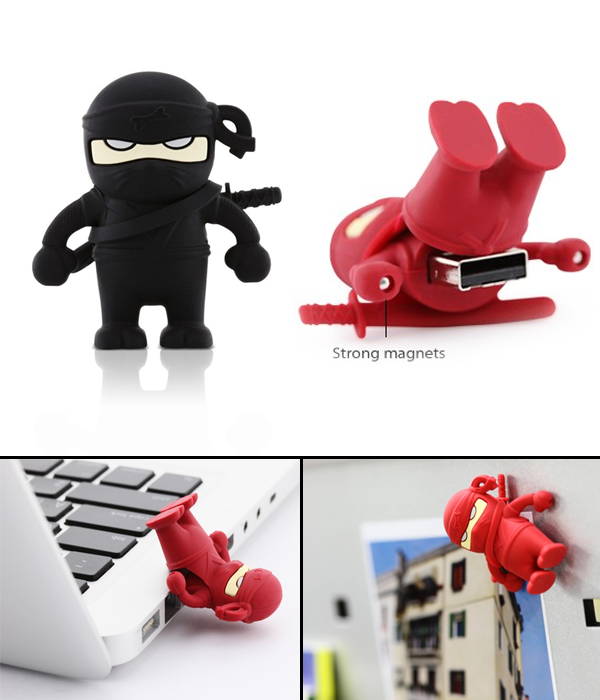 This set also makes a great gift for anyone who loves a little danger, novelty magnets, and of course, ninjas! If you thought Ninjas could only save lives, you should guess again! Wrap around that extra headphone wires in this easy to use, cute, and adorable ninja headphone wrap! Not only will your headphones stay organized, but keeping them tangle free will help them last longer. 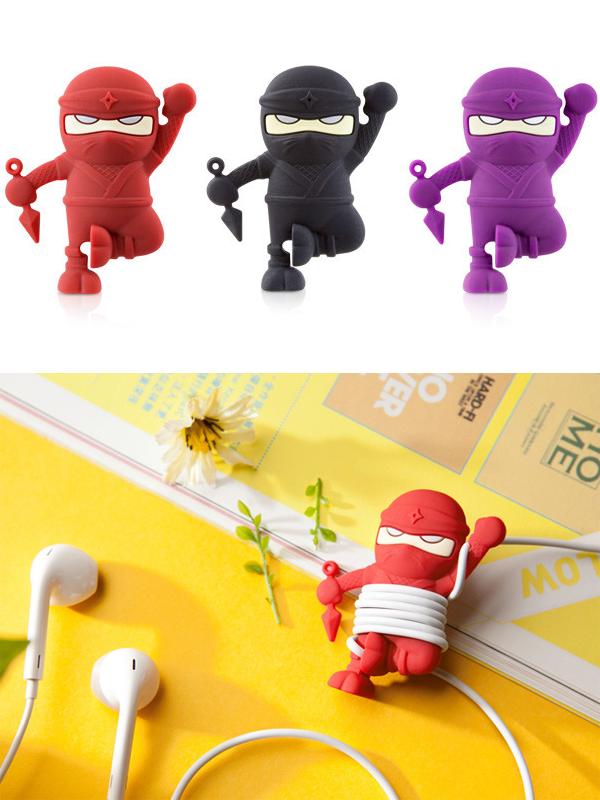 Available in 3 different colors, choose your favorite ninja and save your headphones!